yoga business: what’s in a name? Choosing the right name for your yoga business is crucial. It is the first thing anyone learns about your business and the first exposure they have to what it is you are offering to them. Selecting it requires careful consideration of many factors. Here are just a few of the things to consider when choosing a yoga business name. Does the name feel professional and catchy and does it speak to the audience you want to reach? What kind of students do you want to attract to your studio? Say you are choosing to go after novices who have never done yoga before but would like to try it. It is likely they will be more inclined to set foot in “A Nurturing Yoga Center” than “Twist Your Neck Studio.” The name should capture the kind of business you want to have and your spirit as the owner. Does the name tell people you are teaching yoga? This may sound obvious but there is value in being explicit. For instance, a name like Ashley’s Ashtanga doesn’t mean much to a person who is looking for a yoga studio but has never done yoga before. Can the name be pronounced and remembered easily? “Sarvangasana yoga” may mean a lot to you and how you structure your practice, but will people type it correctly when they look for you on the web? And if you plan to advertise in the local yellow pages, remember how the alphabet works - alphabetically! Ted McDonald, a Los Angeles based yoga retreat coordinator chose Adventure Yoga Retreats as his business name rather than Yoga Adventure Retreats partly so that it would be prominently placed in any alphabetical listing. Is the name similar to that of other yoga businesses? As an example, there are at least 15 yoga studios in the U.S. whose names include the words, Lotus Yoga. Consider whether it will be a problem if you launch a business with a name that is similar to another in your town. It could create difficulty should you want to expand to a place where there already is a Lotus Yoga center. Does the name travel well? 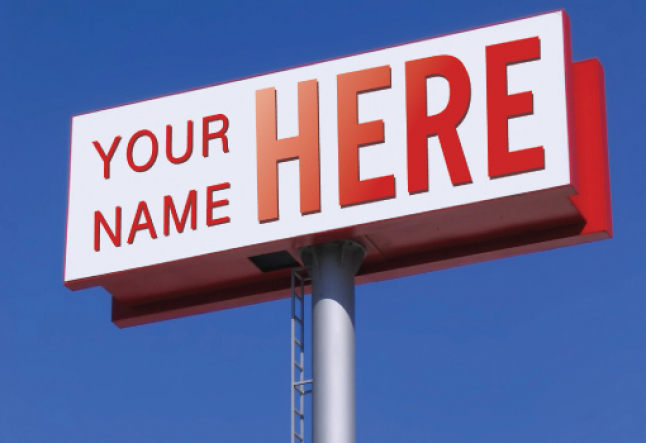 With these guidelines in hand, here are some suggestions for taking the next step toward a successful business name. • Forget them and brainstorm with a few friends or associates over chai tea. Get your juices flowing. • Come up with a short list of names and test them out on other people to see if they understand what you are trying to communicate. “Test, Test, Test!” is the mantra of marketing experts. The name NAMASTA was chosen because it clearly evokes the types of professionals our organization serves and we also use it as an acronym for North American Studio Alliance. • Check to see which of your favorites are already taken. This applies both to your yoga business name and to internet domain names. If your yoga business is named Gentle Yoga but www.gentleyoga.com takes your clientele to a different studio, it may make sense to go with a different name. • Register the name with the county/city office. Also, think about trademarking it if it makes sense. You can do it yourself by visiting the Patent and Trademark Office website at www.uspto.gov or use an online service to take care of it for you.